Whatsapp Business App Full Information In Hindi: whatsapp Ek ke Baad ek Dhamaka Kar Raha Hai. 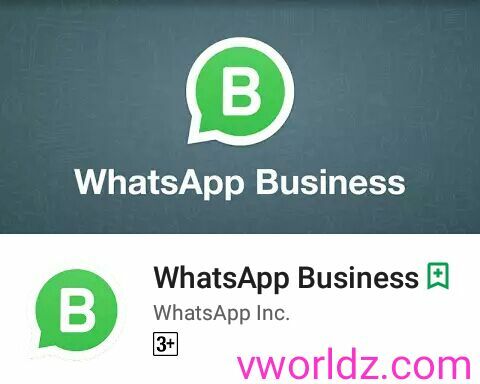 Whatsapp youtube Integration feature Ke Baad Ab whatsapp Ne Apna "whatsapp Business App" Launch Kar Diya Hai Is Saal 2018 Me whatsapp Pe Or Bhi New Feature Aane Wale Hai So Let's Know About whatsapp Business App Full Information In Hindi. Whatsapp Business App Ka First Target Smallest Business Hai. Ise Company's Apne Customer's Se Or Best Tarike Se Contect Kar Payegi. Sabhi Company's Apne whatsapp Business Profile Pe Business Details, E-mail, website Jaisi Jankari Add Kar sakte Hai. September 2017 se he whatsapp ne As whatsapp Business Part Company's Ke Business Profile Banana Start Kar Diya Tha ! Whatsapp Business App Abhi Indonesia, Italy, Mexico, Usa & Uk Me He Launch Hua Hai. Indian or Other Countries Ke Play Store Pe Abhi whatsapp Business App Available Nahi Hai. Aapne wale Kuch Day's Me whatsapp Business World wide All Country Me Launch Hoga. Whatsapp Business App Me Landline Number Bhi Add Kar sakte. App Me Text Messages Ka Automatic Replay Bhi De Sakte hai. Business Register Karte Time Business Category Selection Ka Option Available Hai. Kitne Messages Send Kiye Or Recive Hue Ye Bhi Jaan Sakte. I Hope Aapko Ye "whatsapp Business App Ki Jankari" Pasand Aayi Hogi. Kya Aap India me whatsapp Business App Launch Hone Ka wait Kar Rahe hai ? Jarur Comment Kare Or is whatsapp Business App Ki Information Share Kare. 0 Response to "Whatsapp Business App Full Information In Hindi (Latest Tech News)"